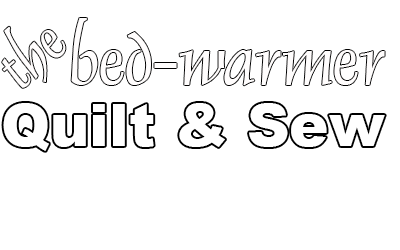 At The Bed-warmer Quilt and Sew, our vision is to provide the highest quality products and service to our customers, which is why we’ve chosen to sell Pfaff Sewing Machines. In our experience, Pfaff has been the most reliable and best sewing machines we’ve used, so when we decided to open our shop, they were the clear choice for The Bed-warmer Quilt and Sew. Pfaff has over 150 years of experience, and numerous patents that set them apart and above other sewing machine makers. When our customers come looking for a sewing machine, they can be confident they’ll find the best machines in town. In addition to selling Pfaff Sewing Machines, The Bed-warmer Quilt and Sew offers repair and educational services for Pfaff machines at our shop.